Peanut crushing method to take oil, is conducive to maintaining the inherent flavor and aroma of peanut oil. The squeezing method can be divided into ordinary peanut oil extraction process and Special peanut oil extraction process. After pressing the peanut cake, can also be further solvent leaching method, remove the remaining part of the grease. Peanut oil refining equipment, the latest peanut oil refining equipment, peanut oil refining equipment manufacturers, peanut oil refining equipment prices, please contact us. Broken by the twin-roll crusher, each grain of peanut kernel grain 6-8 flap, powder less than 8% (20 mesh / square inch sieve test). Crushed into embryo thickness of about 0.5 mm, the embryo by steaming frying pan to become mature embryo, into the oil press water is 1% -2%, the temperature is 130 ℃ up and down. If the pressed cake does not load, and pressed into a hard cake, can be mixed in a small amount of peanut shells cooked to promote the cake. Crushed peanut cake can be further solvent leaching, per 100 kg of cake can be leached 5-6 kg of peanut oil. For high-quality peanut kernel obtained squeeze peanut oil, should minimize the refining process to retain the natural flavor of peanut oil. And peanut cake obtained by solvent extraction of peanut oil, should be fully refined. The leaching of peanut oil by the joint process of ordinary peanut oil, and ordinary soybean oil the same process. Special peanut oil processing as mentioned above, just press the filter oil settlement and cold filtration can be. Peanut oil at 0-3 ℃, solid-solid solidification precipitation. Production of peanut salad oil, it must be removed by the winter of solid lipid components, which is the key to the production of peanut salad oil. It is observed that the peanut oil produced after the full maturity of the harvest peanut oil, its color is shallow, the preparation of edible oil, peanut oil is a good raw material for deep processing of oil products. 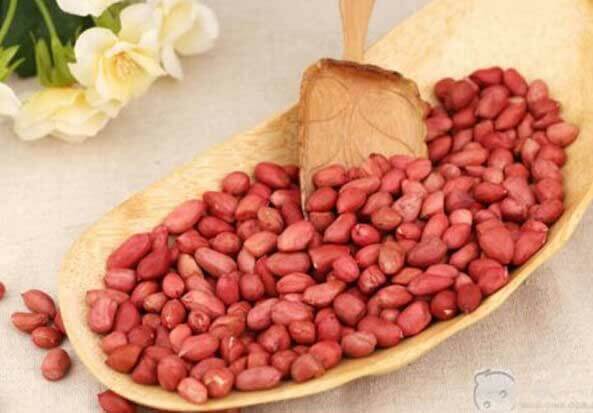 The refined peanut oil has a high smoke point (229.4 ℃) and is suitable for use as a high temperature frying oil.